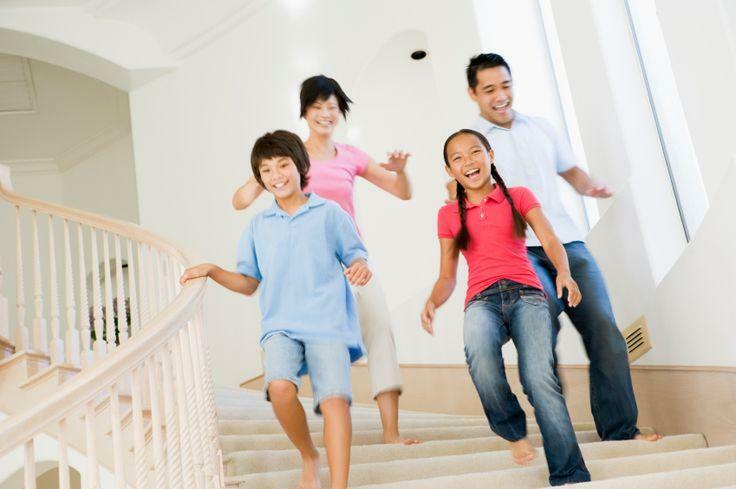 1) When cleaning a staircase, start at the top and work your way down. Thanks to gravity, if you start at the bottom and work up, you’re likely to accidentally push some dirt or dust down the stairs, creating more work for yourself and another area that you’ll have to clean. By starting at the top, you’re using gravity to help you, as all of the dust and other things that you’re cleaning up can be pushed downwards. This makes it easier on you, and prevents you from having to repeat a riser or section that you already cleaned. 2) Pick up everything off of the floor in the hallway (if you can) before cleaning it. Hallways, especially those in the most used areas of the house, tend to be clutter magnets. It will be much easier to clean the floor once the clutter that permeates it has been removed. This also provides you with a chance to put things away, or get further organized. You’ll need to clear the floor of your staircase as well – the corners and edges of it are where random items tend to end up. 3) Don’t forget to clean the walls. While all of the walls in your home should be cleaned on a regular basis, the ones on your staircase particularly need attention. Even if you have handrails, they may not be used all of the time, and the walls may be used instead when extra balance is required. In short, you end up with handprints all over the walls going up and down your stairs. This is why the walls on either side of your staircase need to be washed. The same is true in your hallways, although they may not be as bad. How to clean the walls? Depending on the surface materials, you can simply dust the walls with a microfiber duster, spray cleaner and wipe, use magic eraser very lightly to remove handprints and marks, or simply retouch with paint. 4) Use your vacuum attachments to clean your carpeted staircase. Standard vacuum cleaners come with a number of handy attachments. Among these are various hoses and nozzles, some of which can be extended to sweep your stairs. There are vacuum models designed to handle both regular flooring and staircases, but they are unnecessary when you know how to use the attachments on your current model properly. The staircases and hallways in your home can be cleaned fairly easily as long as you know where to begin and which details to include in the overall scope of the project. The tips listed here can help you start off on the right foot. Of course, if you don’t have time to clean your home yourself, you can always hire this Evanston house cleaning service! Just call 847.392.0888 and you will get the “Best Pick” of maid services in Evanston and Chicago land.